Refreshing, drinkable and fun compositions await us in summer editions of the house inspired by star fish and seahorses illustrated on the glass of the characteristic bottles of the collection and on the outer cartons. 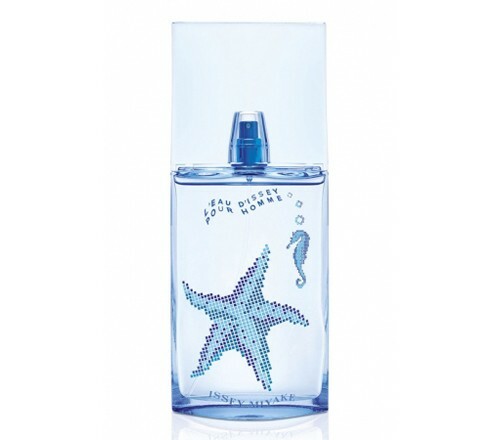 Summer editions by Issey Miyake provide abundance of joy described with juicy fruit, optimistic herbal notes, aquatic notes and precious wood. Top notes of the fragrance for men L`Eau d`Issey Pour Homme Summer 2014 seduce us with fruity zests of kiwi, pineapple and grapefruit, exchanging with spicy flavors of cardamom and nutmeg in the heart. Base notes of the composition introduce a woody blend of vetiver and characteristic cypress. It is recommended for daytime wear.